Today, I’m going to cover the top 10 MLM Companies in Austria. I have often dreamed about going on a skiing adventure in the Alps of Austria. Maybe someday I will be able to live that dream. In case you’re wondering what makes Austria so appealing, here are a few quick facts about Austria. Multilevel marketing is popular in Austria. But people are acutely studious before joining any MLM Company. The European Direct Sales Association keeps a close eye on MLM Companies, as does the Austrian Retail Association called HandelsVerband who is headquartered in Österreich. There are certain MLM Companies that are favored over others in Austria. 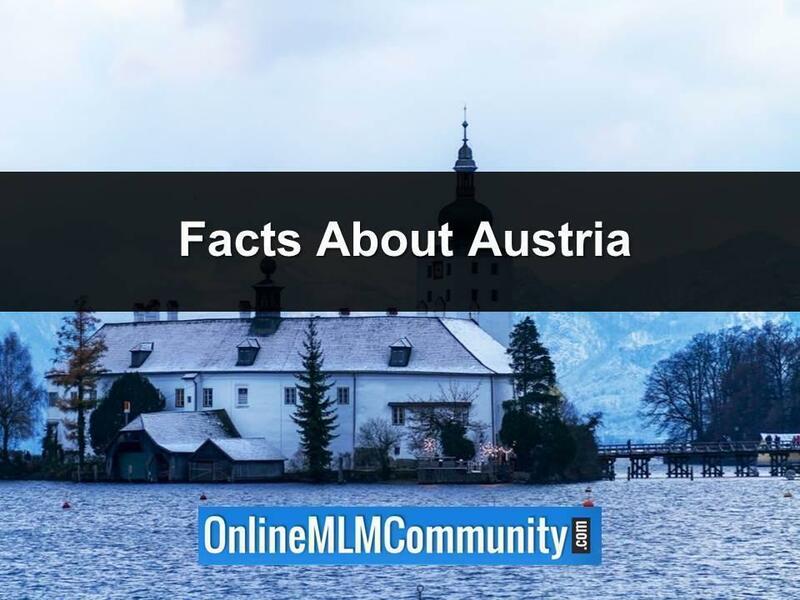 In the paragraphs below, I’m going to tell you the top 10 MLM Companies in Austria, as I see it. I will also share their website links in the reference section in case you would like to know more. Headquartered in Switzerland, this MLM company is loved in Austria. Started in 1971, Déese has grown substantially throughout the years. One thing new consultants love is the fact there are no upfront costs for a starter kit. The company carries that burden for you. Unlike other direct sales systems, no own investments are needed at Déesse. Neither the training for cosmetics consultants, nor the startup case cause you costs – this will all be taken over by Déesse. As an independent Déesse cosmetics consultant you can create your individual working day, thanks to choosing your own time schedule. Thus the decision of choosing between career and family is no longer a question. Both are possible with Déesse. The cosmetics are high quality and I expect we may see this MLM Company make a move into the United States soon. It all started back in 1974 when Hironari Ohshiro working via Sony’s specialty trading operations designs the first Enagic water treatment system and begins to market a clean and safe water system to people in Japan. Quickly gaining popularity, Enagic water systems become known throughout Asia and Europe and a MLM business format is used to market the water treatment systems. Headquartered in Japan, Enagic is a loved company in Austria. It has also become popular in the United States too. This Belgium based direct sales company offers some top-of-the-line jewelry that carries a full 10 year guarantee against manufacturing defects. You can find Victoria Benelux consultants all over Europe and Austria has many women who just love the Victoria Benelux line. They also love the compensation plan and how they are treated by company executives. After all, it is the consultants who keep the company strong. The company’s history goes way back to 1901 when they were well known for an extremely high quality canister vacuum cleaner. Over the years, Lux has added many products in air filtration, water filtration and much more to help people live a healthy and comfortable lifestyle. Independent representatives sell the products and make a great paycheck doing so. Austria has been a Lux International fan since early on. Lux is headquartered in Switzerland but has offices all over the world. Started in Switzerland in 1930 by Ulrich Jüstrich, Just International is widely acclaimed to carry some of the best health and wellness products offered throughout Europe. Just across the border into Austria, many people have started home based Just International businesses to help their friends and family live a happier, healthier life. AMC started in 1963 and has some of the best cookware in the world. An international MLM company, people all over the world use AMC cooking items to make sure their recipes come out perfect every time. AMC is quite popular in Austria as well as in other European countries. Founded back in 1886, Avon was headquartered in New York City. But as the company grew internationally, it seemed Europe was enamored by Avon. Avon headquarters is now in London, United Kingdom and you can find many Austrian women selling the personal care products Avon manufactures. It started in Malibu, California back in 1956. Jan (the Ja) and Frank (Fra) Day created the Jafra flagship product called Royal Jelly. Jafra became a hit and quickly gained a great reputation worldwide. Now Jafra Cosmetics is owned by the German conglomerate called Vorwerk (see #1). There are many Jafra consultants in Austria. Headquartered in Massachusetts, Tupperware was started by Earl Tupper in 1948. The kitchen storage containers he invented became wildly popular all around the United States and into Europe. Tupperware containers can be found in many Austrian homes and you will find various Tupperware representatives in the country. This company based in Wuppertal, Germany was founded in 1883. 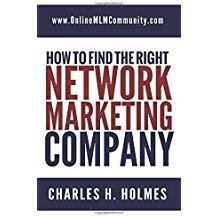 As I mentioned them in #3, they own various brands with many using direct sales or MLM formats. One of their top selling brands in Austria is the Kobold Vacuum cleaners. Vorwerk easily holds the top spot in Austria and in many European countries. 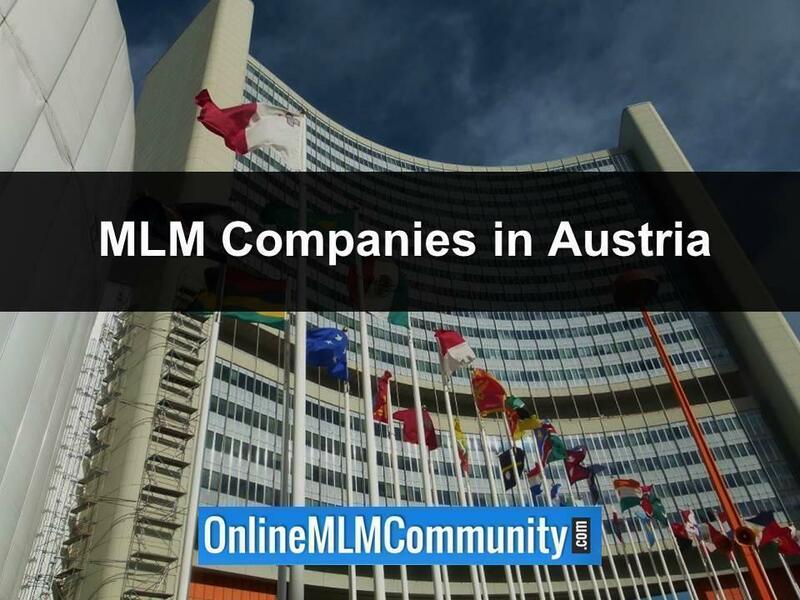 There you have the top 10 MLM Companies in Austria. Keep in mind this is just my opinion and we can agree to disagree. Feel free to share your thoughts and/or questions below. Thank you and have a great day! If you are serious about growing your MLM business huge, I invite you to join Chuck’srmind Team. Just click here to join now. Disclaimer: Neither Online MLM Community nor I are affiliated with these MLM Companies in Austria. This information is provided as a service for your education. When it comes to MLM Companies in Austria, AMC is my favorite brand. I have known this brand for quite a while, especially for their cookware, as well as their popularity all over the world. I’ve never heard about their cookware. I’ll have to check it out and write a post about it. I’m glad you enjoyed the post. Thanks for stopping by and leaving a comment. I have always wanted to go to Austria too! It’s such a beautiful country. I love to ski. I can’t think of a place I’d rather go than Austria. Maybe when I visit I can join one of these MLM Companies in Austria and start building up a local team. That would be great to build a business in Austria, so I could visit a few times each year! That sounds like a plan. Travel to a country, build a team there, and then go back and visit several times per year. That would be awesome, especially in a country as amazing as Austria.